Advances in analytics and artificial intelligence increasingly encompass decision making traditionally associated with middle management. With business analytics systems increasingly able to make complex decisions, the traditional scope of management is being squeezed, forcing contemplation of the future scope of management practice. As a result, management as a profession will increasingly need to become more creative and flexible in terms of asserting its value proposition in tension with emerging advanced decision technologies. As many traditional industrial age business functions become subject to disintermediation by automation and expert analytics systems, new industries and value propositions will need to be framed by an emerging generation of leaders. This transition will take place over the next two decades, so those most affected will be early- and mid-career professionals. In the mid-term, it is clear that quantitative and technical fluency in working with analytics and machine intelligence proctored decisions will be an increasingly essential skillset for the modern manager. While there are certainly overblown pronouncements concerning the speed of this change, ‘shift’, as they say, is already happening. As per the adage about the frog boiling in slowly warming water, this is a trend to track over the course of years. The end result, though: boiled frog – the scenario to avoid for forward-looking management professionals. Artificial intelligence (AI) as a term dropped out of favor in the 1990’s after failing, at the time, to live up to much of the hype it generated. To be fair, the high expectations were in part framed by unrealistic science fiction depictions of autonomous robots and super-intelligent, conscious computers resident in popular culture from as far back as the 1950’s utopian futurism movement. However, the last decade has quietly and steadily seen the re-emergence and hybridization of a number of factors which are now on the cusp of delivering on the promise of ersatz AI. We are seemingly, according to some informed estimates, within three decades range of being able to realize the intelligent, interactive ‘agent’ as popularized by fictional vehicles such as Hal 9000 from 2001: A Space Odyssey (though hopefully less the psychotic inclinations). managing a complex vehicle autonomously (a spaceship in this case). Hal was basically an aggregate of all these systems inter-operating, and thus, given sufficient effort, could be evidenced today as a composite. an increasingly structured representation of human knowledge in the form of the World Wide Web as a persistent ‘reference data source’. This allows for learning systems such as IBM’s Watson, systems which gather, sift, test, and refine information and modify their resulting behavior. The addition of prolific low-cost and persistent sensors in the form of the Internet of Things, leads to the capacity to design and deploy sensing, ‘thinking’ (seemingly, albeit ‘artificial’), and acting systems. Google search itself is not only an effective solution for web-based search and retrieval, but by relentlessly applying analytics to search patterns and results, it is a constantly refined, closed-loop learning system. As a cyclical model, albeit human mediated, Google search captures an ‘understanding’ of what people are interested in, how they seek information, and, therefore, how they ‘think’ to some degree. The ability to generate autonomous hypotheses – to reason – by extension, is a linked feasible capacity within sight. Analytics is a practitioner movement combining several formal disciplines including BI, statistics, econometrics, operations research, machine learning, and data engineering. At its boundaries, analytics encompasses organizational decision management and decision automation. We can consider analytics as a discipline interested in managing decisions as much as creating insights from data. It may be useful to think of business analytics as addressing analytics-focused decision making as a ‘frame’ around data analytics, which focuses on the application of technologies and formal analytics methods (as below). A core implication of the analytics discipline is closing the gap between data analysis and insights. 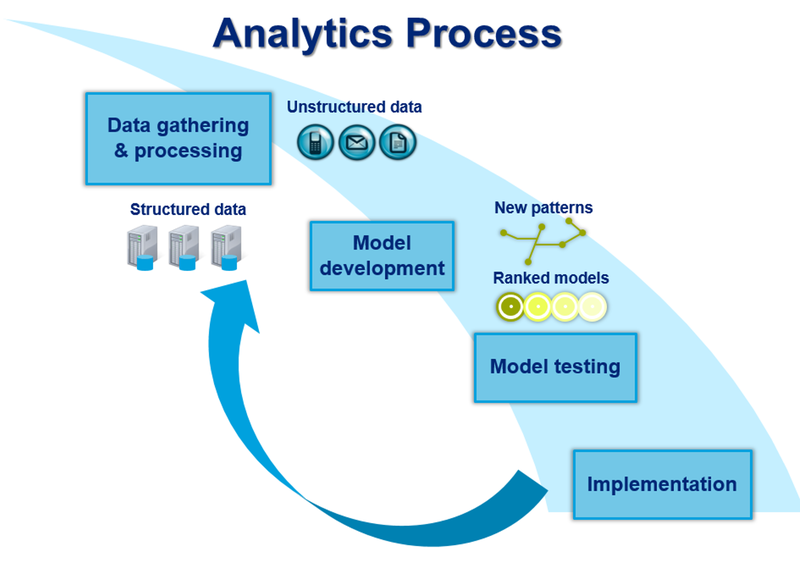 A robust analytics solution encompasses a process which includes gathering data, generating hypotheses, testing these hypothesis, reporting the results to guide a decision, and applying subsequent results to revise the decision model based on new data (i.e. to revise a machine learning model). This implies that robust analytics solutions are capable of systemic inductive reasoning, a mainstay of the scientific method and traditionally a facility associated uniquely with human creativity. When a complex decision is sufficiently described and encoded as an analytics solution, it is a reasonable leap to automating the decision itself. As such, designing advanced BI reporting and alerts mixed with pattern discovery, diagnostics, predictive analytics, and prescriptive techniques is essentially a composite process whose capacity approaches that of human reasoning. Embedding a closed-loop, self-improving learning model at the core is an aspect which puts the ‘I’ into AI. I am often struck by this notion when demonstrated advanced analytics and visualization: in realizing a robust recommendation system, we often, essentially, are presenting a decision engine itself. The results are increasingly demonstrably better than human judgment, which are beset with agency interests and behavioral decision biases. The upshot is that a sufficiently automated analytics solution questions whether the ‘manager’ is, strictly speaking, necessary in the process of identifying value driving insights, except as a steward. To take a practical example, if a complex supply chain management system is able to autonomously specify an optimal transport and delivery route, why is the supply chain manager necessary, except in terms of addressing the formality of ensuring the results are applied? There is a point where the pilot of the airplane is no longer flying, but is there simply to reassure the passengers and to ensure that no person touches the airplane controls. If an analytics system, as a decision process, is sufficiently delivered to a manager such that the decision becomes self-evident, does the manager not become in some sense obsolete, at least in terms of picking the best decision, especially when the system clarifies the formal proof and refutes objections at a level beyond the capacity of individual experts? When I have raised this notion in the past with management colleagues, there is always a rapid flurry of objections. Blustery qualifications follow: “leaders will always be needed” and “machines only frame the decision, they don’t make it.” However, as cited, the advent of IBM’s Watson and systems which can autonomously develop and test research hypothesis increasingly call these objections into question. At some point, do the refutations not risk sounding like histrionic objections against the, admittedly, emotionally disturbing, notion of obsolescence, if not a major assault on assertions of human uniqueness, creativity, and intelligence? I myself tend to quickly leap to the human defense, having spent a good deal of my life studying and practicing the discipline of management. I deeply want human managers to not only be necessary, but essential. Yet, I must ask whether I am falling into the confirmation behavioral bias: selectively seeking evidence, and rejecting disconfirming evidence, to validate my deeply held belief that management is a uniquely human and thus unassailable practice. Increasingly objections and qualifications are slipping under the relentless advance of AI and machine learning. As an example, a recent Wall Street Journal piece reported that IBM is prototyping a service where corporate executives can solicit a targeted interaction with Watson regarding business strategy. An example would be executives seeking guidance on feasible acquisition targets. Much as Watson, via its internet access and natural language processing abilities, was able to handily trounce humans in the game show Jeopardy, it can similarly rapidly assemble a list of viable business acquisitions and crunch the financials to short-list a recommendation. This could be done in real time and would encompass supplying details documenting the assumptions, recommendations, and conclusions, including the extrapolated M&A financials. The simple cost basis argument for computer expert decision making is clear: an hour ‘renting time’ with Watson versus hiring an expensive team of M&A consultants to generate essentially the same results. We can argue about quality, but conceivably this is an objection which will steadily fall away as the systems improve, much as chess playing computers quickly rose from mediocre playthings to beating grand masters. At a recent Rotterdam School of Management (RSM) Leadership Summit on Big Data, an expert panel briefly discussed the implications of AI advances in terms of management. As an example, airline autopilots were raised as a domain where computer decision making surpasses human decision making. Similarly, with rapid advances in computer driven automobiles, such as Google car, we are now within generational sight of the obsolescence of human drivers. Simply, automobile accidents being a leading cause of non-health related mortality, prototype AI driver systems are increasingly demonstrably safer, as well as more efficient and sustainable. Indeed, the future for airline pilots and motorists will increasingly become one in which humans may not be permitted to touch the controls or interfere with operation of a vehicle except under unusual circumstances. When we relocate these type of advances in computer decision making to the sphere of management, we are forced to ask how much more complex an operating business is than an Airbus passenger airliner. Certainly domains such as strategy, innovation, and leadership are, at the moment, demonstrably human. Yet, if Watson can guide M&A, can it not also be configured for continuous managerial accounting monitoring, raising objections and guiding general tactics and strategy to optimize the operating business? Are not staffing decisions, growth targets, and budgeting all within scope? 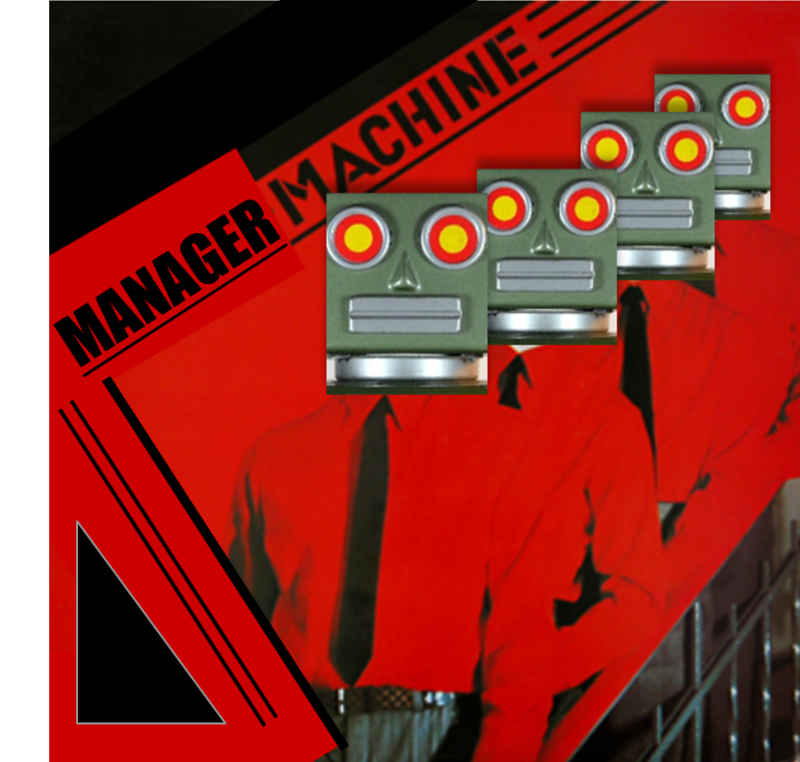 If we take as a hypothesis that AI systems will increasingly disintermediate many traditional middle management decision functions in the coming three decades, we then must ask what will be left? Where should the new generation of managers invest their efforts and attention? Technically fluent managers: In the near term, there will be a continuing need for people to select, configure, deploy, and manage decision systems. This will demand a new breed of mangers that are technically fluent and data savvy. To keep up, managers will need to keep pace with advances in data analytics, including statistics, machine learning, and AI. An allied question is whether this will be a medium- or long-term- need. At some point, if enough effective closed-loop expert systems are enabled, and computers themselves increasingly begin to design and deploy their own decision solutions, this may be a need which reduces over time. Organizational decision stewardship: As raised, much as the modern airline pilot is increasingly a ‘steward’ of the flight, managers may increasingly become stewards to help frame and proctor implementation of the decisions made by expert, analytics, and AI systems. This involves stakeholder coordination and management, as well as emotional framing for line workers affected by the decisions. There is one thing that computers cannot easily supply – shared social meaning. There will always be a need for those who can speak in human terms and tell human stories about why we are doing the things we do (even if it as behest of a massive AI system). To some degree, this already occurs in large organizations manager with structured ERP systems and financial planning processes – the system specifies where cuts need to be made and what is going wrong. However, the professionals working with the system still interpret and mediate implementation of the changes indicated. 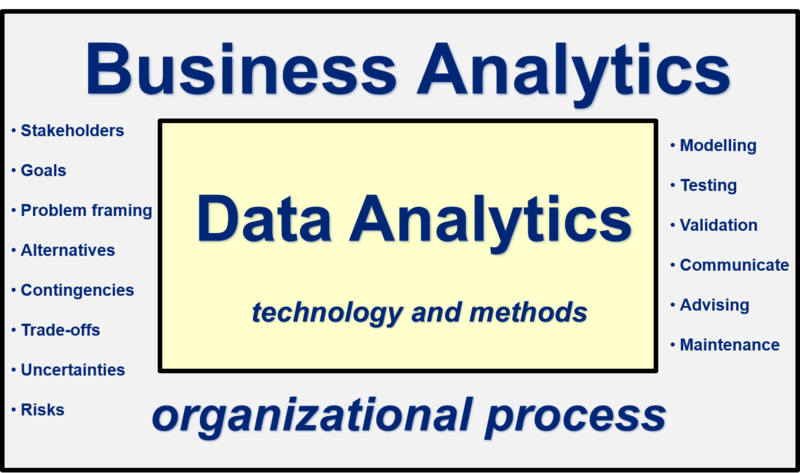 This is the ‘business’ part of business analytics – understanding and managing decisions in human organizational terms. The hand of the AI king: As humbling as it may seem, much as the airline pilot in the cockpit gives passengers a sense of necessary security and well-being, the role of leaders in interpreting and explaining the decisions of AI and expert systems will continue to be necessary. A related question concerns whether this is a generational necessity, and whether future generations will simply feel more comfortable relegating impactful decisions to computers. In many ways, people already have given decision control over to computers, although in subtle and many times unobservable ways. Traffic and transport control is largely computer moderated already. Will we even notice at that gray point where AI’s are actually running the corporation? Beware – if fit can be automated, it will: A recent Economist special report on The Future of Jobs observed that entire professions will be subject to disintermediation through automation and analytics / AI. Accounting and auditing are an example of business functions which can increasingly be addressed by expert systems, putting these professions at risk, at least in their current form. 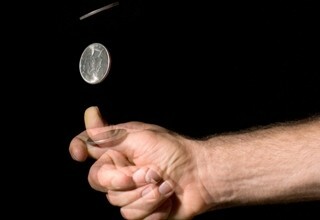 In the same vein, managerial accounting and middle management decision making based on financials are similarly capable of being driven by computer mediated decision-making. What stands less of a chance of being disintermediated? Uniquely social professions which are difficult to automate are at the top of the list – clergy, athletic trainers, recreational therapists, and retirement planning specialists. In essence, professions which help people find and pursue ‘meaning’ and fulfillment will be increasingly necessary. For example, ‘divinity consultants’ may work with people to help connect them to a religious tradition to which they will develop a personal connection (‘would you like a selection of Buddhism, Taoism, or Confucianism with your meal today?’). This trend may also involve linking people to the technologies and media channels that can super-charge their leisure time and passionate hobbies. For instance, fitness training technical gurus who can design a training regimen in conjunction with the proper equipment and fitness monitoring / management devices. Or we can anticipate technical sports specialists who assist deep-sea exploration, jet-suit flying, or cyborg-enhancive competitive sports. We can imagine the emergence of ‘leisure time advisors’ and ‘experience orchestrators’ – a hypothetical mixture of tourism specialist, hobby advisor, and therapist. One thing is clear: like attention, leisure time is increasingly a precious resource for which technology will compete for attention. Those who can manage the connection of personal desires and happiness to new technical possibilities will be in demand. Innovation and business development: While computer-aided decision making is already an inherent part of innovation portfolio management, especially in high-risk-high-reward industries such as pharma and petroleum exploration, consumer product design and consumer service design are likely areas where human creativity and understanding will still be a necessity. There is an important difference between market-taking (driving efficiencies to win a market) and market-making (creating new concepts, needs, and product ecosystems not previously known, for instance the well-known Apple iTunes / iPod / iPad / iPhone platform). Marketing to drive cultural desire: Marketing to people in terms of deep social context will likely be a continuing talent. This requires cultural and psychological understanding, something computers may not be able to grasp or contextualize as quickly as savvy and creative marketers. It implies understanding trends and desires in terms of social meaning. Nespresso is an interesting case study in this respect. The initial product was intended for restaurants, the launch in this segment being a failure. Nestle subsequently hired luxury goods marketing guru Jean-Paul Gaillard and he re-branded Nespresso as a aspirational product for the home. Its success in this market context shows how much branding and connecting with deep human perceptions and desires trumps physical, surface goals (the mechanical need for quick, convenient coffee not being the whole story – context and brand matter). Content creation: This may seem a surprising one. While traditional journalism, film making, television, and advertising are struggling industries, there is a growing need for digital content – entertainment, news, and info-tainment fit for new channels and formats. The challenge is that the cost economics surrounding content creators are being rapidly re-framed. It is not yet clear how news bloggers, You Tube stars, independent animators, smartphone game developers, and social media gurus will be fairly compensated in the future. What is clear is that these are rapidly emerging new professions. There may be a role for corporate communications and marketing communications specialists to operate on a freelance basis or perhaps in a semi-structured neo-agency context (as seems the current model). This may involve compensation based on social volume metrics – eyeballs, clicks, hits, and followers. Along with these creators, who take a piece of the popularity pie, there will be a need for managers to orchestrate portfolios of digital content creators across platforms and channels. Thus, those who are able to navigate the rough economic waters as the technologies and channels evolve will have a leg up as methods for allocating compensation develop. Implicit is that ‘attention’ is rapidly becoming a rare resource, and those that can command and manage it effectively will realize outsized rewards. Festival platform / ecosystem orchestrators: In keeping with the above trends, new types of festivals which hybridize entertainment, education, commerce, and social interaction will be a rising trend. Festivals which combine all the above have been exploding in the last decade in the industrialized world. The more people are seemingly pulled apart by technology, the more they will evidence the desire to re-unite in large social venues of their choosing – a form of conscious re-connecting. Austin’s South-by-Southwest, Burning Man, and Comicon evolved from niche regional events to global platforms, even ‘lifestyle brands’ in their own right. These events encapsulate a deep need for social connection in pursuing particular passions. Much more than a stadium or venue, these events are promiscuously multi-contextual cultural happenings – they package a mix of music, food, commerce, education, socialization, and hobbies with direct access to others with similar passions. We will see the evolution of new festival platforms to identify with yet unfulfilled mass social desires. As well, these platforms will increasingly involve technology as a central mediator and connector – both physical and virtual. Burning Man itself is a technically complex physical undertaking – bringing together tens of thousands in a barren desert. South by Southwest is bound together behind the scenes by virtual content and communications – Tweets, You Tube videos, chat sessions, and people connecting to new Facebook friends and LinkedIn associates. Again, as attention and leisure time become an increasingly rare and valuable commodity, people will increasingly want to make careful choices about where they spend and focus their social activities. They will want to mix socializing with entertainment and commerce in increasingly complex and targeted ways. These new types of super-festivals will increasingly deliver this as a service. One can imagine that this ecosystem will have room for new professions – festival logistics consultants who specialize in staging multiple events; festival social brokers that help to connect people, organizations, and artists; festival publicity and promotion agents, etc. Entrepreneurial ecosystem innovators: With an increasing emphasis on sustainability in business, those who can architect creative, new business models and launch them as working systems will be in continuing demand. While this seems obvious, the particular skillset demanded involves a particular and rare mix of systems engineering, finance, people management, technical skills (particularly leveraging new communication, sensor, manufacturing, and automation technologies), marketing (particularly social media), and some insight into sustainability. A prosaic example I like to use is of my local dog kennel in the Netherlands. The proprietors run a greenhouse and farming operation with a spare building where they house dogs for owners that are away or on vacation. The business is highly integrated and sustainable in design. Dog poop becomes fertilizer for the greenhouse. Dogs are washed such that run-off is used in irrigation. The dogs run in the fallow fields, churning the earth up. A number of attendants are halfway house residents at a local psychiatric hospital and the jobs are designed as supervised occupational therapy. Local school children come by to play with the dogs at recess – fun for the dogs and children. As a result of these factors, the business has low operating costs while maintaining quality – the dogs love visiting. The farmer-entrepreneur who set up this business is truly an innovator – he created a self-sustaining business as a system which aggregates human happiness- dogs, children, dog owners, work therapy patients – AND generates profits.All I know is that we need more such clever, integrated businesses with social and sustainability benefits. Computer decision systems can certainly help to optimize scheduling and cash flow at such a business, but they are quite unlikely to envision and set-up such a tightly integrated social and physical system. Inter-cultural facilitators: While globalization is and will be the reality for business, it is not a simple matter of trading goods and services over borders. Integrating businesses increasingly involves getting different economic, financial, logistical, and cultural systems to coordinate. The people part of this challenge will be in increasing demand. As someone who has worked and travelled internationally, I am convinced that culture is alive and well in terms of how we see the world and integrate with others. Simple things such as perceptions of time and the degree to which a business agreement is considered ‘binding’ are very much aspects subject to cultural perception. Managers that are able to facilitate global solutions by blending communications and agreements between multiple far flung cultures will be in continuing demand. For an example, think of supply chain management: while advanced supply chain management systems may specify optimal resourcing, transportation, and schedules, where ‘the rubber meets the road’, human action will need to be brought into coordination with the system-specified decisions. In some countries, shipment ready next Monday might imply any day that week, when it really needs to be Monday. 100,000 units of a specific quality may be heard as anything between 90,000 and 110,000 units with a flexible quality range. People who can navigate the treacherous waters of different interpretations between cultures will be in demand, as will those who ensure that local legal and financial understandings follow suit. Technical leapfrogging implementation entrepreneur: A final example is the observation that many developing countries are rapidly adopting new technologies ahead of traditional industrial world solutions. Banking and payments in many African countries are now mediated via simple cell phone messaging systems. Airports are set-up for maximal efficiency and low operating cost, incorporating the latest designs. Solar and wind energy solutions are allowing rural areas to operate off of the electricity grid. In the future it is likely drones will play a role in delivery services to areas without reliable roadways. The scope for applying low cost solutions to assist in the development is emerging nations is limited only by the imagination. As an example, a friend and colleague of mine started RafikiNet. RafikiNet is an innovative platform combining cellphone messaging and web reporting to connect rural entrepreneurs to commercial companies seeking distribution and sales to remote areas lacking proper infrastructure. Enabling such savvy solutions for infrastructure and logistics challenges in developing lands using novel combinations of existing technologies will be a major trend and opportunity. Such solutions require human can-do ingenuity and are unlikely to be automated away any time soon. Solutions involve a ‘roll-up-the-sleeves-and-dig’ approach, changing course to overcome obstacles and jerry-rigging disparate low-cost and robust technologies together in innovative ways. The above examples are only a selection of areas where managers and entrepreneurs are most likely to continue to challenge themselves and grow outside the scope of growing automation and machine disintermediation. The themes are: integrated systems, deep social understanding, applying emerging technologies in innovative ways, and enhancing value by creating ecosystem platforms. The dark side of automation and disintermediation, unfortunately, is potentially a much grimmer story. A recent study predicts that by 2020 nearly 50% of American workers may be independent contractors. The associated economic implications could go either way. One future sees these contractors innovating and producing new business models. The dystopian future is one of a disenfranchised majority losing benefits and having less control of their careers and futures: an increasingly shrinking pie. While the business model examples above have to do with pro-social goals and optimizing happiness, there are equal ‘commercial’ opportunities in the areas of security, policing, weapons, war, and social control. As technological development and globalization pressure and constrain traditional industries, affected communities will evidence tension and react negatively. Acting out and expressing social discontent can quickly lead to spiraling and cyclical violence and retribution between communities and authorities, a perverse ‘business cycle’ based on negativity. Such cycles of violence and control can easily lead to situations whereby the weapons industry, terrorism, and security services create self-sustaining, self-reciprocating economic ecosystems. Just as a festival is driven by passion and people seeking fulfillment, a regional conflict is driven by animosity, hatred, violence, and revenge. Regional conflicts can degenerate into wars, terrorism, and generational struggles which inflict a terrible human cost. Certainly AI and analytics can equally assist in the economic apparatus surrounding weapons production, security, and military action. Technology itself is not good or bad – it is put to particular good or bad uses by people. Thus, the choice is one for a new generation of mangers to make regarding the application of technology for economic development: will it be for maximizing human happiness and potential or a cynical cycle of control, violence, and oppression? Both can serve as engines of ‘profit’. Only one is self-sustaining. The Economist article does qualify that there will continue to be top-tier opportunities, such as those cited previously: “over the next few decades demand in the top layer of the labour market may well centre on individuals with high abstract reasoning, creative, and interpersonal skills that are beyond most workers, including graduates.” The question becomes: will these ‘new generation’ professional elites focus their technical creativity and innovation on empowering new economic ecosystems for their brethren, or will it be easier to pursue the mantra of control, contain, and oppress using the very same mechanisms? We must decide where human efforts will be focused while our traditional modes of economic interaction shift and transform beneath us. Technology grows in leaps and bounds while culture evolves slowly. If we treat disintermediation as a zero-sum game, in which we attempt to gain control of a shrinking iceberg, the future is likely to be one in which the quality of life declines and where our ‘work’ involves either struggling against control through disobedience or crime to gain a fair share of the economic pie, or working for those interests seeking to maintain control via a vast security apparatus. If we view the iceberg as being capable of renewal, we can allow our imagination to optimize startling new technologies to integrate social and economic systems, generating profit and maximizing happiness, producing more with less.